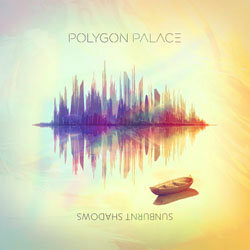 Electronic duo Polygon Palace formed when Londoner, Adam Phase and New Zealander, Gabriel Crossan bonded over a common love of left-of-centre dance music whilst living abroad in Melbourne, Australia, and quickly established themselves as consistent cast members in the city's underground and warehouse party scene. Following the release of their EPs 'Tokyo Getaway' and 'We Have A Visual' and a handful of acclaimed remixes of tracks by the likes of Cut Copy and Human Life, the pair set to work on an epic album of leftfield electropop: 'Sunburnt Shadows', out now on Escapade Records. Classic indie electropop, recorded at the home studio of legendary Julian Mendelsohn (Pet Shop Boys, Paul McCartney, INXS, Kate Bush et al). An early version of the track featured in the ABC series 'twentysomething' and the album version is now being released as a single.